Home » News & Updates » Concert Announcements Are Soon to Come! 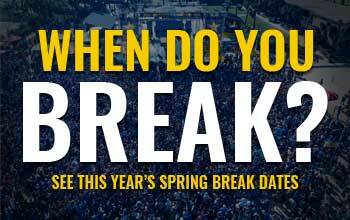 Spring Break 2017 is just over four months away and the anticipation level has already reached a feverish pitch as to who will perform in Panama City Beach. The Beach Bash Music Fest will soon announce its lineup of performers and other venues including Spinnaker and Club Lavela will soon follow with their announcements.